Add the finishing touch to cakes, cupcakes and biscuits in an instant with these pretty sugar daisies. 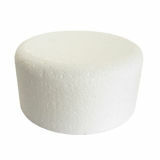 Ready to use and completely edible, just pop them on and serve. The ideal finishing touch to any floral themed cupcake. 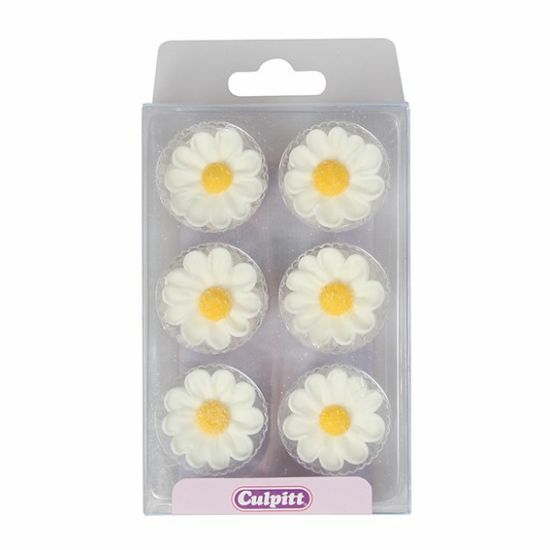 Piped sugar daisies are great if you're short of time but you need to add a final floral touch to your cakes and bakes. Available in a pack of 12, they are ideal for weddings, Mother's Day, afternoon tea and girls' birthdays. These sugar flowers are 100% edible so you can use them on any sweet treat or dessert.